﻿Don't make summer plans until you check out SPLASH! The most affordable, multi-generational, hands-on local mission opportunity available! Register now to save your spot. Early Registration available until March 31st @ $50.00 per person, increases to $75.00 on April 1st. Registration deadline is May 31st. Host for 2019 is Newtown Baptist Church. Thank you for stopping by to visit! We are grateful for the opportunity to introduce ourselves to you. Please continue to browse through our site to get to know us. If you have any questions or comments complete the Contact Us Form and we will get back to you as soon as possible. 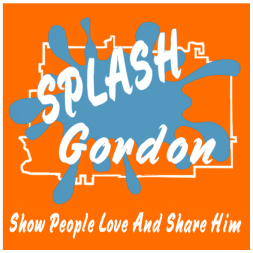 SPLASH Gordon​ is an exciting local mission opportunity that God has given to the evangelical churches in Gordon County. A mission trip in your own community. Invest in the Kingdom by givng to SPLASH and support your local mission. © 2014 SPLASH Gordon All rights reserved. 373 Morrow Rd SE, Calhoun, GA 30701.